At The Foam Shop we know that your project extends well beyond the time that you spend inside our doors. Our staff have helped customers with a vast array of DIY projects over the years and are always willing and able to help you with hands-on tips to improve your results. But what can you do when you’re in the “just thinking about it” stage or the “now I’ve got my materials, where do I start?” phase and you don’t have one of our staff there in your garage or rec room to advise you? It’s why we’ve developed our DIY Foam Tips section. From measuring and templating, to cutting and installing your foam, we’ve got you covered. 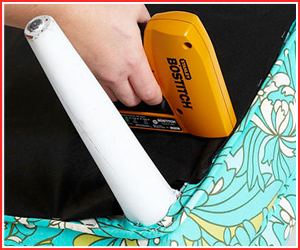 Check out some of our top DIY tips included in this section and save time, money and frustration. Creating a proper template is the first and often most important step of your project. 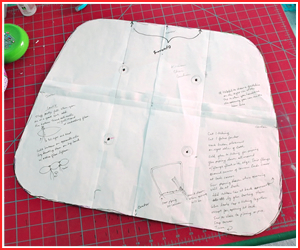 A properly made template will ensure the foam and upholstery are also made to the exact dimensions desired. Below you will find several tips to help in this important step. 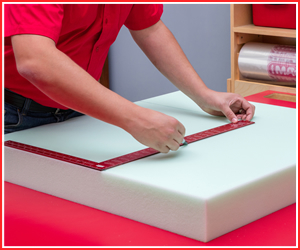 While measuring and drawing your foam cushions are some of the services we provide at The Foam Shop, we know that some people want to do this themselves. When ordering foam online, measuring and drawing your cushions is a great way to let us know exactly what size foam you require. We’re able to accommodate both metric and imperial sizes, so feel free to use whichever you’re most comfortable with. 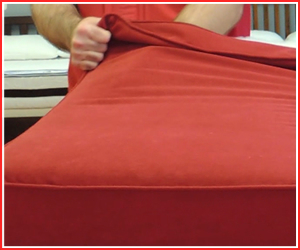 Often our upholstery foams are purchased to complete home staple-down projects. This can be the case for kitchen chairs, bar stools, and certain style benches, among a variety of other projects. These types of projects require a couple tips to keep in mind when starting a staple-down project. As all-around experts in custom foam upholstery, The Foam Shop excels in the marine and RV worlds. 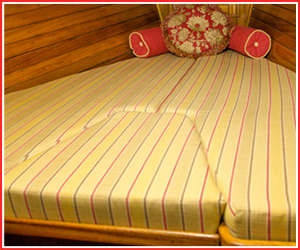 We know that RV mattresses are rarely standard sized, and marine V-berth beds typically require custom angled edges. This means that more attention needs to be given to the measuring and templating steps when taking on this type of project.